Southeastern Asia, northwest of Australia in the Lesser Sunda Islands at the eastern end of the Indonesian archipelago; note - East Timor includes the eastern half of the island of Timor, the Oecussi (Ambeno) region on the northwest portion of the island of Timor, and the islands of Pulau Atauro and Pulau Jaco. 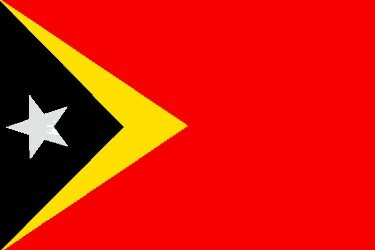 Tetum (official), Portuguese (official), Indonesian, English note: there are about 16 indigenous languages; Tetum, Galole, Mambae, and Kemak are spoken by significant numbers of people. 13 administrative districts; Aileu, Ainaro, Baucau, Bobonaro (Maliana), Cova-Lima (Suai), Dili, Ermera, Lautem (Los Palos), Liquica, Manatuto, Manufahi (Same), Oecussi (Ambeno), Viqueque.